Got a shimmy while you’re driving but typical causes aren’t the problem? This might be an older vehicle but the fix here could work in newer ones as well. SureTrack community member wilhiteauto had a BMW in the shop where the customer complained of a shimmy in the vehicle at highway speed. They posed the question to the community, and with the help of fellow community member BMWTECH and others, they were able to resolve the issue quickly. Heat can cause a lot of problems. Sometimes your car won’t start when it’s hot and it can be really inconvenient since you’re probably away from home at the time. Follow this Real Fix to see how a no start condition when hot was diagnosed and repaired on this Acura Legend. Uh oh! You got a code for a ECU malfunction, that could get expensive. But it’s not always that simple. Follow this Real Fix to see how this code was caused by another component on this GMC Envoy. 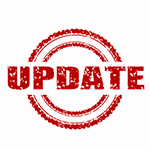 October 18, 2018 updates for ShopKey Pro includes extended maintenance mileage intervals and the Advanced Driver Assistance Systems (ADAS) Quick Link. There are lost of components that can affect the fuel system and cause it to be too lean. Follow this Real Fix to see how a code P1128 on this Hyundai Accent was diagnosed and repaired. SureTrack Real Fix: Can I Get Some Assistance? Remember the old days when you would turn your head to look behind you while backing up? Now cars have cameras and sensors to help you with this mundane task and add more components that can fail. Follow this Real Fix to see how the Parking Assist light on the dash of this BMW 530xi was diagnosed and fixed.